« Sig Sauer 1911 “We The People” C02 Air Pistol $89.00 Below Cost! Military surplus steel 40mm ammo cans for linked grenades, have double latches, one on each end. These are nice clean cans but are used and will show some wear, fading paint and such on outside, but are solid and close well. Load data and marks on outsides will vary from can to can and from picture. Wire handle below latch on each end, top of can is flat other than some corner angles for stacking the cans. 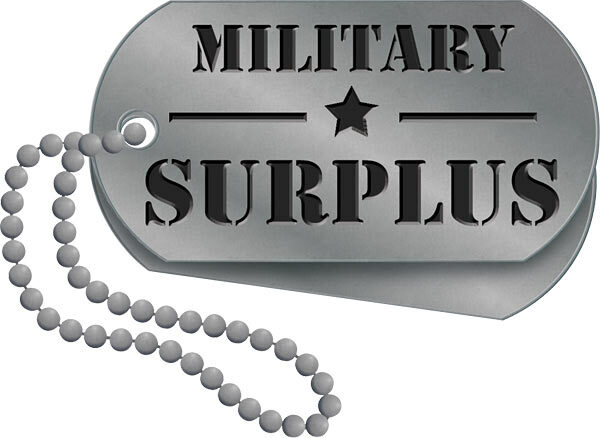 Military Surplus Ammo Cans have hundreds of uses around the home, shop or range. 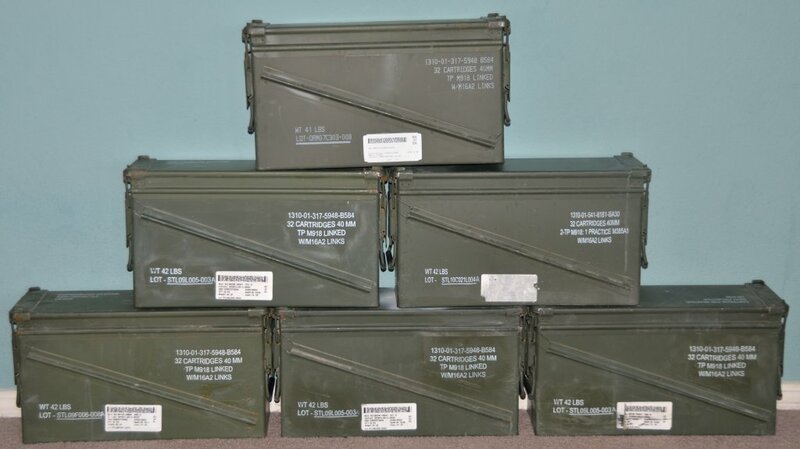 These Ammo Cans feature sturdy steel construction with waterproof seals. Each can is visually inspected and lids are manually opened to ensure proper fit and range of motion. These cans come from here locally in New Mexico. They have been washed and are ready for your storage needs. They make great containers for storing things in your vehicle, like emergency items such as food. How about loading it with pistols and some desiccant to keep the inside humidity free for long term storage. There are many, many purposes for using these cans. Tax is included in the out-the-door price.